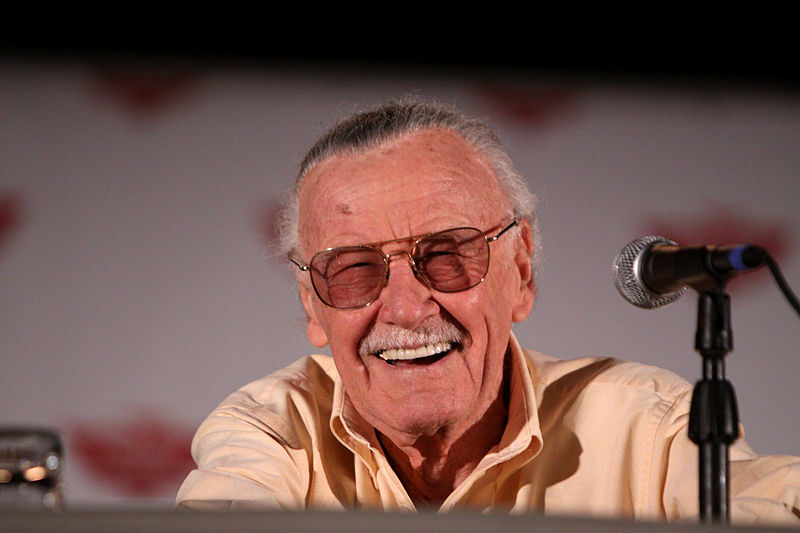 Stan Lee was a profoundly influential figure in comics; as comics have now crossed over to dominate Hollywood, with many of the highest-grossing films of the last decade featuring characters co-created by Lee, his influence only continues to grow. However, while his legacy involves some of the best-known and most-loved characters of all time, it is not without controversy or complication. Lee began work at Timely Comics, the company that became Marvel in 1961, in 1939 as an assistant; by late 1941, Lee was editor. He was 19 years old. Apart from during his wartime service, Lee held the position of editor until 1972, when he succeeded Martin Goodman as publisher. From the early 1960s to his death, despite shifts in his official relationship to Marvel, Lee became the face of the company, a position solidified through his cameos in the Marvel Cinematic Universe films. What, then, is his legacy? Lee has been credited with a revolutionary transformation in superheroes after the near demise of the genre in the 1950s. Whereas the characters at DC, such as Batman, Superman, and Wonder Woman, were offered as models of perfection and were politically nonpartisan, Lee’s superheroes, beginning with the introduction of the Fantastic Four in 1961, argued with each other and had personal problems, making them eminently more relatable to significant portions of a growing youth audience. Lee’s decision to base Marvel characters in the ‘real world’, or at least a fictionalised reconstruction of that world, is indicative of the dislocation between developing practice at Marvel and established practice at DC, the market leader in superheroes up to and including most of the 1960s, whose characters occupied a seemingly utopian space outside our mortal realm. This is exemplified in the origins of Spider-Man who, on acquiring great power, seeks to use it in the way many others would: to acquire wealth and the romantic interest of others. It is only when Spider-Man’s actions indirectly lead to the death of his uncle that he learns that “with great power comes – great responsibility!” Ask not what your powers can do for you, Lee effectively echoed, but what your powers can do for others. we too are fond of the Black Panther… isn’t this the most important lesson to be learned … let’s base our opinion of a fellow human being on his basic qualities and character – not on the color of his skin, the name of his God, or the place of his birth! In appealing to a form of postracialism Lee was, it seems, trying to conceal the radicalism of this gesture. Here was a powerful character, called Black Panther, mounting a claim to an independent black identity, coincident with a story in the New York Timesabout the Lowndes County Freedom Organization and their logo, which features a black panther. Lee consolidated this message by co-creating the Falcon, this time with artist Gene Colan, and pairing him with Captain America in 1969. From 1971-78, the series was credited as Captain America and the Falcon, a decision that placed an assertive black identity alongside Marvel’s embodiment of what it meant to be American. There are issues here in terms of a hierarchy of power, ability, and prestige, but a clear intentionality can be inferred – the future of the US depends on racial equality and cooperation. Lee was not, however, above representing the Civil Rights Movement in potentially problematic ways, as in Avengers#33 (1965) where domestic racial tensions were being exacerbated by General Chang, a Vietnamese general, as part of a Cold War strategy. The story can be read at least two ways, though: first, as a conservative commentary on civil rights agitation as a divisive issue that helps the communist cause; second, as a progressive commentary that positions divisions around civil rights as a benefit to the communists that can easily be solved – through pursuing greater racial equality. However, the absence of a white racist in favour of an external (communist) agitator overlooks domestic barriers to inclusivity. Lee’s legacy, though, is not without complication. Both Jack Kirby and Steve Ditko felt that Stan Lee was quick to minimise their contributions, as artists, to the characters and the narratives they inhabited. In terms of representation, Lee’s romance story, ‘No Man Is My Master!’ (My Love#10, 1971) was seized upon by contemporary activists as an example of male chauvinism; it is certainly true that Lee was, in general, weaker on representations of gender than race – though as the development of Sue Storm and the introduction of Black Panther and the Falcon shows, Lee could be progressive on both fronts. Given the cultural and political climate in which Lee was working, and that many men far younger than him still working in comics today struggle with similar issues, it is too much to expect Lee to have been practicing a form of intersectional feminism in the 1960s. Lee’s responses to letters from correspondents of differing political perspectives also suggests that regardless of his instincts, business had to come first: without a comic, his (loosely New Deal) progressivism would not have a platform. In balancing Lee’s successes against his failings, though, it can be seen that his arcs of characterisation and narrative as a whole bent towards justice. Despite any reservations outlined here, Stan Lee was a dynamic and forward-thinking force in American, and now global, culture, who was involved with some of the most popular characters and stories of the last fifty years. He will be much missed.